Further information concerning the terms and conditions of use and data privacy can be found at https://www.google.com/analytics/terms/us.html. 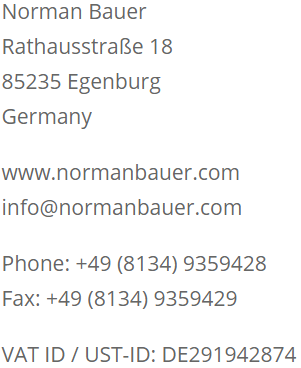 normanbauer.com has no access to or control over these cookies that are used by third-party advertisers. Please also refer to the page Datenschutz for further information.